Oyster fungus on the fine old vine of a mature wisteria. 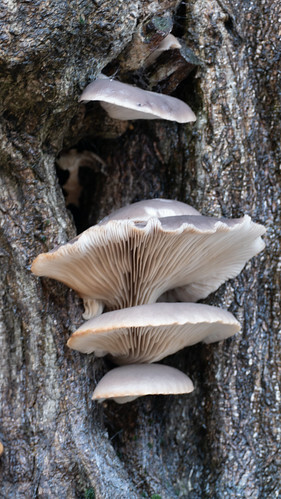 Oyster fungus are cultivated commercially, destined for the supermarket shelf and the kitchen. They are also a white rot fungus, a fatal parasite on trees and similar woody plants.